Breakfast and free WIFI are included in all rates at the ibis Styles Pertuis Lubéron hotel. We welcome you to the heart of Provence with 64 rooms, restaurant open Monday-Friday (closed on weekends, public holidays and the Christmas period), bar, pool, fitness room and meeting room. 15 min from Aix-en-Provence, 20 min from CEA Cadarache research center and 40 min from Marseille, it is ideal for discovering the region. Free, enclosed car park. Musical evenings on Saturdays in summer and Fridays in winter. On the edge of Pertuis, located just 15 minutes from Cadarache research center (via the A51) and 20 minutes from Aix-en-Provence city center. 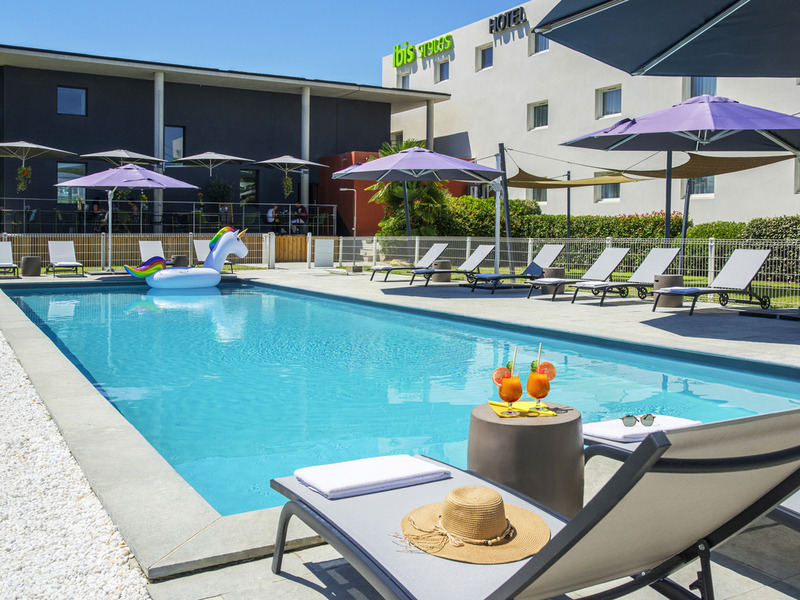 The ibis Styles Pertuis hotel is nestled between the Alps, Provence, Haut Var and Luberon regions. Contemporary, air-conditioned rooms, fully equipped with wardrobe, desk, luggage rack, TV, telephone, bathroom and separate toilet. Free unlimited Wi-Fi access. Sixty-seat restaurant. The chef concocts traditional dishes from whatever is fresh at the market, and everything is home made. Open in the evenings only from Monday to Thursday. Restaurant closed during the Christmas vacation. Contemporary bar in the middle of the hotel, terrace open in fine weather.